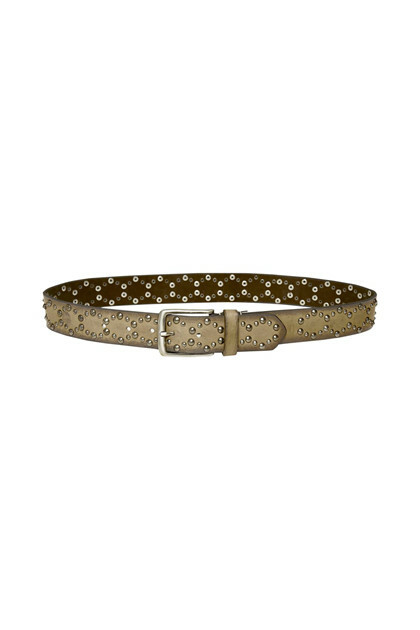 Cream Cindy belt 10401185. 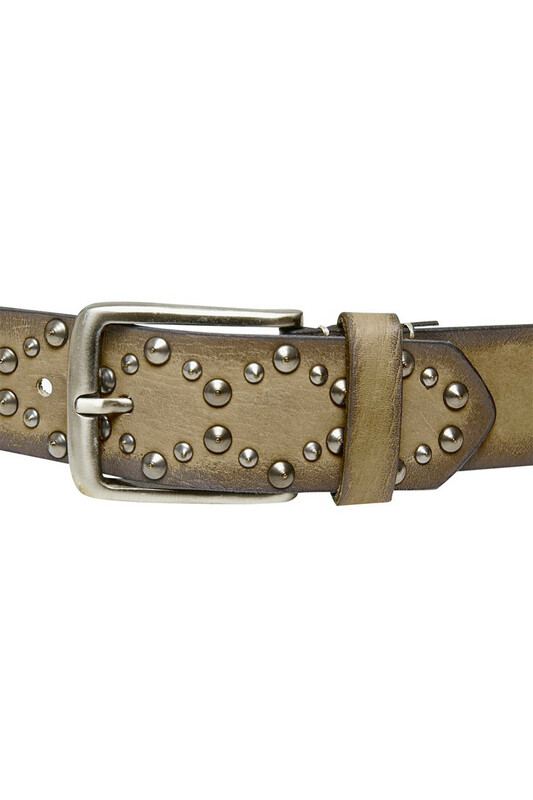 Beautiful belt with a raw rivet look. The belt is perfect worn with basic jeans that lack a little oomph. The belt is available in 5 different lengths.